Kayla Gowdy is currently a senior at Ashland University majoring in Political Science and Economics with minors in History in Theatre. Kayla joined the team in the winter of 2014 and since then has been utilized for a variety of skills, such as political research, marketing research, strategic planning, and writing in general. 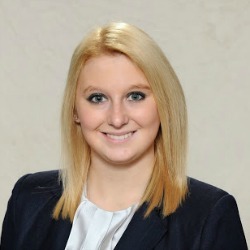 Kayla served as Campaign Manager for Bill Hayes for State Representative out of the 72nd district of Ohio and also serves as a congressional intern for Pat Tiberi from the 12th district of Ohio. Kayla’s interests vary all over from politics, to history, music, theatre, dance, reading and volunteering.